Paco de Lucía, one of the greatest guitarists of all times, died yesterday in Cancún (Mexico). Born in Algeciras in Andalucía in 1947, the musician made his home in Mallorca in 2003 when he bought a place in the countryside between Campos and Es Trenc where he planted olive trees and pressed his own olive oil. Later he moved to the outskirts of Palma to enable his younger children to go to school at the Liceo Francés in Palma. 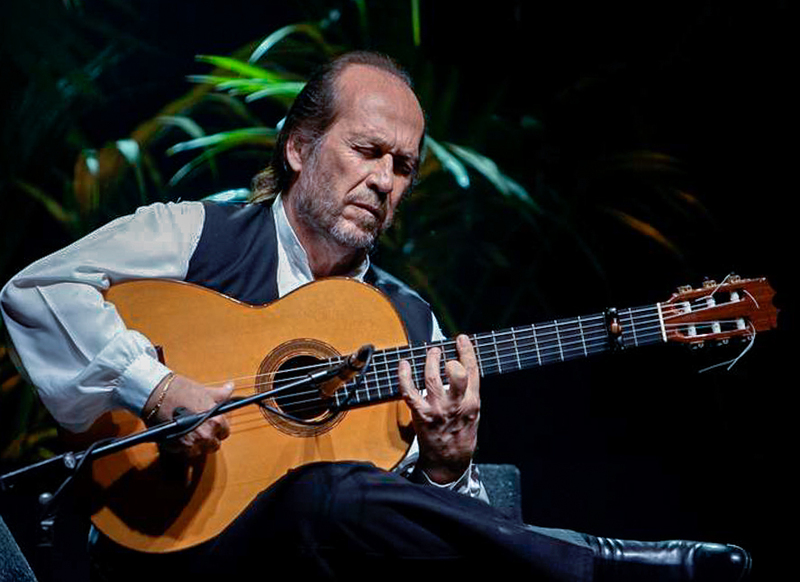 In Spain, Paco de Lucía had been bestowed with the Premio Nacional de Guitarra de Arte Flamenco, the Medalla de Oro al Mérito en las Bellas Artes, a Distinción Honorífica de los Premios de la Música and the Premio Príncipe de Asturias de las Artes. He was honoured with a Doctor Honoris Causa by the Universidad de Cádiz and another one by the Berklee College of Music in Boston, Massachusetts (USA). He was given two Latin Grammy awards for best flamenco recording, in 2012 and 2004. The photo was taken by Montserrat T. Diez and borrowed from the Internet, courtesy of Flickr. Thank you and muchas gracias. Una perdida muy grande para Espania y el Mundo, e.p.d. May his soul rest in peace, and rise in glory.